It is not sufficient to merely accumulate knowledge within a company, it must be collected, identified, evaluated, systematically categorized and then distributed. How data and information are collected and made available is a critical issue. An important contribution to this is made by information systems, which archive and allow access to data as well as providing a network for staff to communicate with each other. These systems must be structured in such a way that every user can achieve their goal efficiently – from the initial search to the successful result! 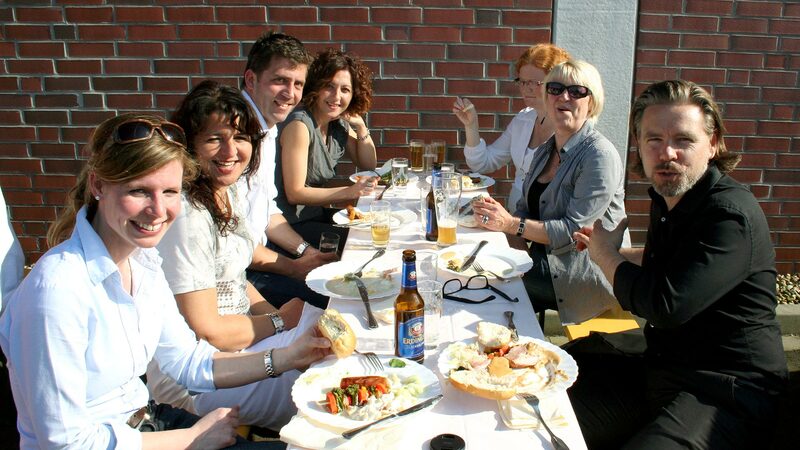 The production sites, sales and service centers in Germany remain the nucleus of knowledge and experience. 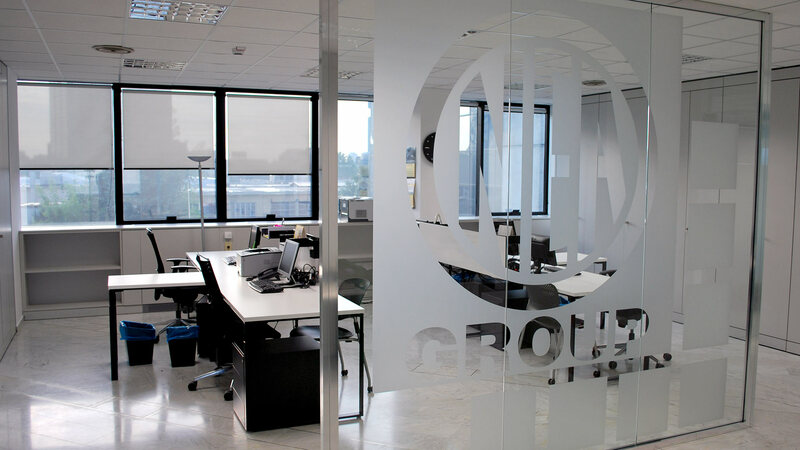 But each company within the NEA GROUP contributes to our international expertise, above all those in the USA, Italy and Brazil, many of which have been doing business for over 20 years. This knowledge must be shared within the group. Both the personal exchange of information made at the annual international workshops on sales, engineering and service in the NEA GROUP, and the databases with information about the machines and market developments make certain this happens. This ensures the knowledge that exists within the NEA GROUP reaches every member of staff, providing them with the tools they need to do their job each day - no matter where they are located! One area of our investment activity is focused on precisely this: Knowledge Engineering. With the aid of various IT systems, we organize our data for the relevant user groups at NEUMAN & ESSER, so profiting from a strengthened distribution of knowledge, but also an extremely efficient use of the existing data. At the same time, we are continually working on improving processes globally, and are set to introduce SAP from January. So our motto for the coming years will be Think German – Act Local. German technology, precision and reliability will be disseminated to every point within the NEA GROUP to be acted on by our staff on location and developed further according to local needs. 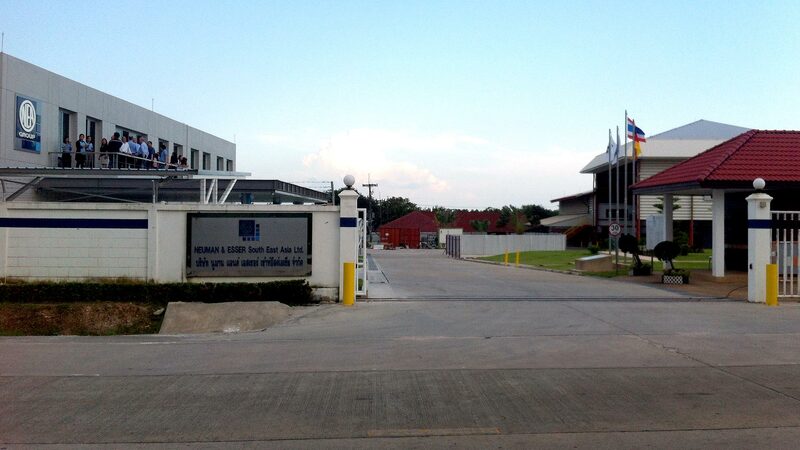 NEAC South East Asia Ltd. was founded in 1998 in Rayong, Thailand, to serve customers in Southeast Asia. Initially, the focus was on the domestic Thai market but this rapidly expanded beyond the national borders. After 25 years of successful service for the NEUMAN & ESSER GROUP, strong growth in business since 2011 across the entire sales region led to the company being renamed to join the globally recognized core brand, NEAC Compressor Service Ltd. The “new” company will become operationally active for customers in Southeast Asia and the Pacific from Jan. 1, 2014. 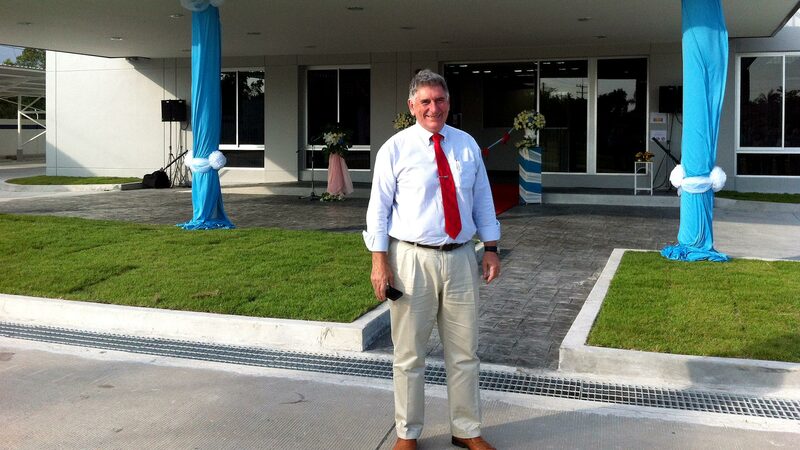 The most recent major investment in a new 1,200 m2 office building in Rayong lays the foundation for NEAC Compressor Service Ltd. and its affiliate NEUMAN & ESSER South East Asia Ltd. to achieve their ambitious goals in the areas of compressor after market, sales, and engineering of compressor systems. In parallel, the existing NEAC Service Center was demolished and relocated in the converted large workshop, so that the NEAC Repair Coordination Center (RCC), with level C certification for crankshafts, pistons/piston rods, crossheads etc., has comprehensive functionality across 400 m2. 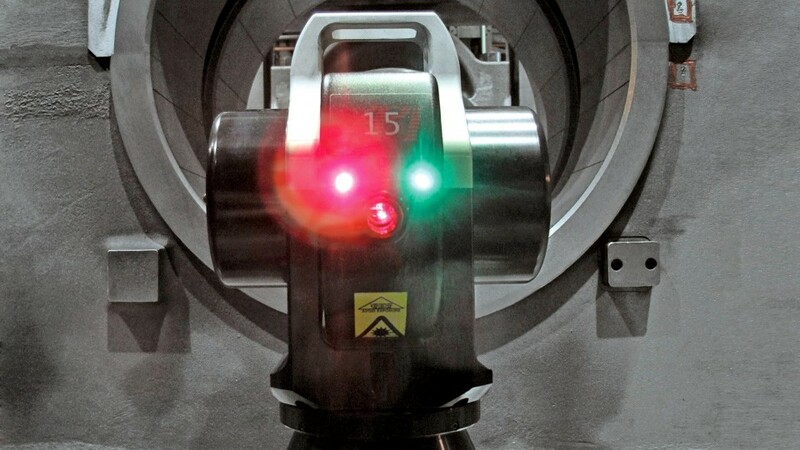 The most recent investments in precision measurement for components, such as a granite measuring table with a load capacity of 6,000 kg, enable local component measurement results to be evaluated, defined and checked in accordance with global NEA standards. 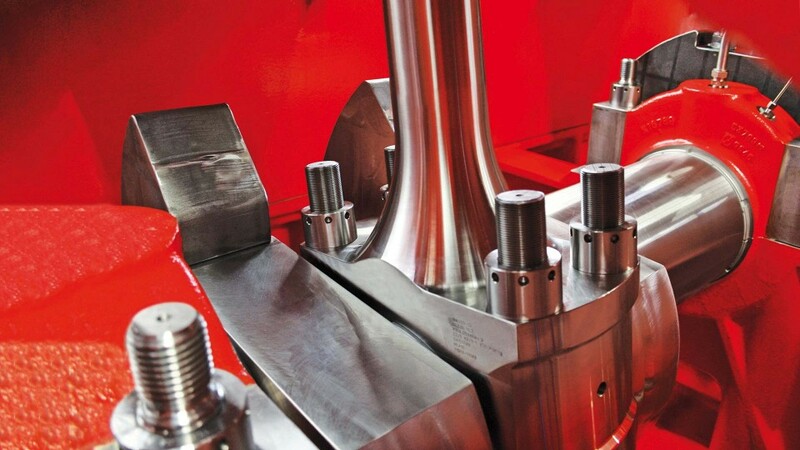 This also applies to the valve service, allowing level A repairs to piston rod sealings, or seal measurements, to be carried out using tools in line with the manufacturer’s instructions. The competence of the staff in Thailand has also increased consistently, following the successful completion of large projects in Australia, Taiwan, Thailand and Indonesia. As a result, the team in Rayong, led by Jörg Strizek, is now able to provide the full range of NEAC services for the 11 OEM reciprocating compressor lines. This also includes building new foundations for existing crankcases, taking the laser measurements required to do this, the issuing of pV diagnoses, as well, of course, as the professional setting up or overhaul of compressors by the internationally qualified local Service Department. Safety on the construction site is one of the top priorities. The NEAC Compressor Service operates according to the highest safety standards, in particular in the chemical and refinery sectors. OHSAS certification also helps to define or optimize the processes required here, to ensure that the industrial accident rate continues to remain at zero. The population of the wide range of compressor brands varies greatly from country to country. Strong business relationships have been developed for the series built by NEA, Borsig (the line of compressors built in Berlin until 1995), Linde and the American brand PPC. The myriad of process applications and gases in use, means that comprehensive OEM know-how is required. Demand for OEM spare parts, service, and repairs continues unabated, in order that cost-effective maintenance can secure many further years of production with these lines of reliable compressors. NEAC Compressor Service is actively supported by a network of knowledge-bearers. This means that each NEAC company across the globe has access to the Central Division of Technology at NEA headquarters in Übach-Palenberg. This division is responsible for optimizing NEA compressors to cutting-edge technological standards and is the point of contact for specialized queries from all technical customer service centers. The sales networks have been decentralized and expanded around the locations in Singapore and Korea. As the Korean market is of strategic importance, a new office was opened in Busan so that optimal customer service can be carried out in the national language. In addition, the local sales force supports the existing network of agents across various countries, with noticeable success in acquiring new customers. These achievements, combined with the potential of markets awaiting further development, give NEAC Compressor Service in Thailand great impetus to continue building on the sound foundations established so far. Union Engineering, headquartered in Fredericia, Denmark, is the world’s leading enterprise for CO2 technologies, providing applications for desalination plants, beverage industry, industrial gas companies, oil & gas and even the tabacco industry. In 1978, the first NEA CO2 compressor plants were sold to Union Engineering to reliquefy CO2 for brewery applications. During this time, that is for almost 35 years now, the cooperation between Union Engineering and NEUMAN & ESSER has been based on mutual confidence and reliability. NEA oil-free, water cooled, reciprocating compressors are used for the brewery and beverage industry, vertical type machines are used for smaller flow rates and compressors of V-type design for higher flow rates. All in all, 300 units have been sold to Union Engineering to date. The DIET – Dry Ice Expanded Tobacco – process was developed as early as the nineteen seventies by Airco DIET. This American company, with its headquarters near New York, was committed to finding a way of expanding the tobacco filling capacity, while reducing the tar and nicotine content. The result was a process that fulfilled these requirements, using CO2. The first plant was sold in 1979, and in 1985 Union Engineering became a permanent part of the team constructing DIET facilities, developing module plants of different standardized sizes, in-house. This process mainly consists of an infeed, a cold and hot end system where CO2 gas is an essential functional component to ensure that this process works. The use of low and high pressure compressors – oil-free, of course – is an absolute necessity for the so-called cold end process to achieve the aim of high expansion, while lowering nicotine and tar content. So which requirements must the compressors fulfill for this process? To comply with Union Engineering’s concept, to build module plants in container frames, Union had just one possibility with compressors: low mass forces and limited dimensions. A solution within the CO2 standard compressor range was quickly found. For small flow rates: vertical compressors with balance of masses (no free inertia forces) and for higher flow rates: V-type compressors with extremely few mass forces. 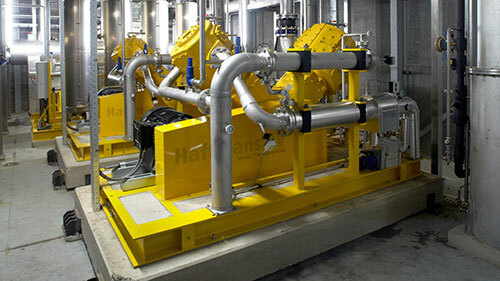 Union Engineering developed their own concept for compressor plants; NEUMAN & ESSER supplies compressor bare blocks only and the components are furnished and integrated into the plant by Union Engineering themselves. For the tobacco industry as well, oil-free compression is absolutely essential. Special sealing rings and materials are required for these applications, which were tested in agreement with Union Engineering. The resulting service life achieved ensured reliable continuous operation. The highest ambition was and is to satisfy the requests of the tobacco customers as quickly as possible. However, the contract between Union Engineering and Airco DIET turned out to be restrictive, until in November 2008 Union Engineering acquired Airco DIET. Since that time Airco DIET, whose Managing Director is Asbjørn Schwert, has become an important part of the Union Engineering Company. The new plant designs developed by Airco DIET and NEUMAN & ESSER were very warmly received by the market, a fact reflected by the continuing number of orders. Intensive discussions are being held at the moment on how to develop common strategies to supply customers in future with services and OEM spare parts, both flexibly and securely, including for the After Market area. Quality is the most essential feature for these plants. The units are packaged in-house, and tested according to current standards so that they are received by the customer in perfect working order. 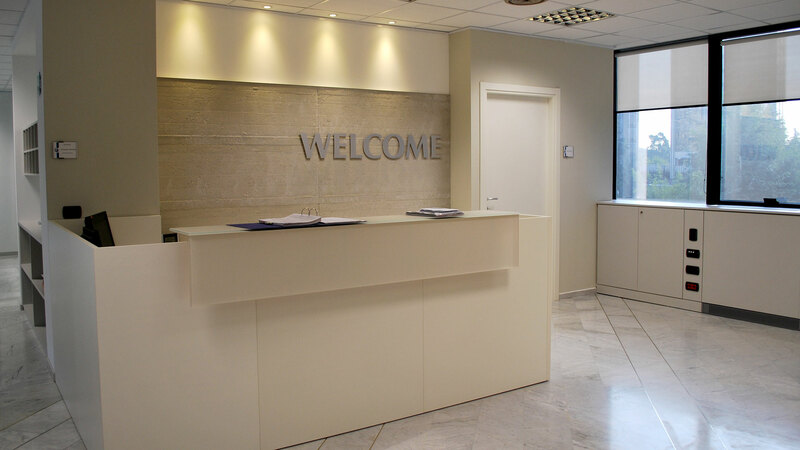 Union Engineering and Airco DIET is a successful cooperation on CO2 technology with customers all over the world and a wide range of applications. Customers and mechanics rely on NEAC Compressor Service’s safety specialist, Christian Michels. Together with the service technicians, he guarantees quality and safety at large and small construction sites alike. There are some 7,600 biogas plants in Germany today, with an overall output of more than three gigawatts. They supply more than five million households and have replaced three nuclear power stations. Most of the plants use the biogas to generate electricity and supply surrounding houses with heat. This, however, is not the only means of using the product. As biogas is produced at low pressure, it must be condensed using a reciprocating compressor. Approximately 30 NEA compressors run at German biogas plants of various sizes, feeding the purified biomethane into the existing natural gas grid. Depending on the grid operator, the NEA compressors must increase the initial gas pressure between 4 and 8 bar, up to 70 bar. Installing a Biogas Plant in East Frisia, Germany Ten more compressors are currently ready for use across Germany, or are presently under construction. Two of them have been erected in Berumbur, a village of 2,500 inhabitants, some ten kilometers from the North Sea coast. The difference at this plant is that the characteristic fermenters are not visible. They lie some seven kilometers away and provide a maximum of 750 Nm³/h gas via a pipeline. It took NEAC Compressor Service just 14 days to complete the basic installation of both compressor plants, including all pipe and gas connections. Ralf Pulfrig was responsible for installing the NEA components. This experienced NEAC mechanic from Wilhelmshaven is part of the dense network of technicians both in Germany and throughout the world. As a NEA GROUP service provider, NEAC guarantees the fast and competent availability of services. 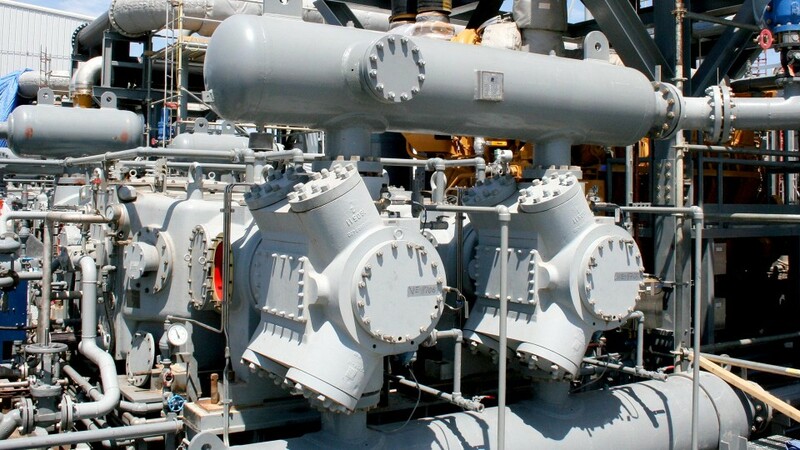 This covers the full spectrum for process gas compressors and oil-free air compressors, from installation and subsequent commissioning, maintenance, servicing and repairs, right up to modernization and the procurement of spare parts. Ensuring Quality and Safety Together NEA GROUP is renowned for its rapid, professional, and skillful completion of orders. 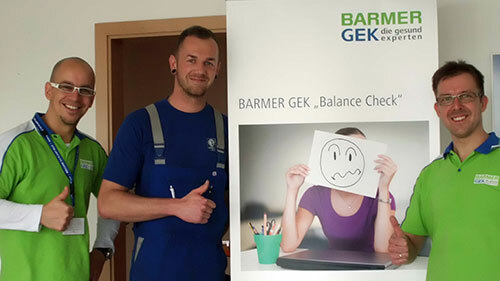 To guarantee the highest level of safety at the construction site, a NEAC Safety Specialist pays a personal visit to such small construction sites as in East Frisian Berumbur. This protects both employees and companies from accidents, so ensuring a reliable adherence to strict time lines. The 27-year-old Christian Michels has been the NEAC safety specialist since mid-2012. Last year, the former mechanic replaced Joachim Dickhaut, a NEAC employee who worked for the NEUMAN & ESSER GROUP, right from the very beginning of his career, for almost 50 years. As with Mr. Dickhaut, Christian Michels is not primarily an overseer of the employees at the construction sites. He ensures maximum safety by working together with colleagues as a partner, since team work and communication are an essential element of a safety specialist’s qualifications. These skills and expertise are honed at specialist training courses on work safety, which include workshops on how to transmit this knowledge correctly to the mechanics. During his inspections, the safety specialist checks for orderliness and cleanliness at the construction site. In his mandatory job of safety analysis, he tests badges on electrical and measurement devices, fire extinguishers, the emergency plan, and for hazardous substances, as well as anything conspicuously related to work safety. Michels stores the completed checklist in the NEUMAN & ESSER integrated management system (IMS). “I present the reports for the annual OHSAS 18001 audit”, as Christian Michels explains further. “Through this, I document that I was at the construction sites and that the construction sites meet the standards.” Many customers are also interested in the reports. NEAC sends them the results, though some of them only ask for a phone call from their friendly NEAC safety specialist. Official Seal of Approval for the NEA GROUP Quality and safety have a long-standing tradition in the NEA GROUP. NEAC has held the SCC Certificate since 1999. The Safety Certificate Contractors (SCC) is an international series of standards, designed for companies active in the mineral oil-processing or chemical industries. NEAC meets the most stringent requirements of the SCC(P), the unrestricted certificate for petrochemicals. Quality and safety have a long-standing tradition in the NEA GROUP. The certification of the Work Protection Management System according to the international OHSAS 18001 standard reflects this. With the exception of the Sales Offices NEA Rus and NEA Egypt, all the Group’s companies are certified both according to ISO 9001 and OHSAS 18001 because work protection doesn’t stop at the factory gates, but is brought to the customers by the globally active service technicians. 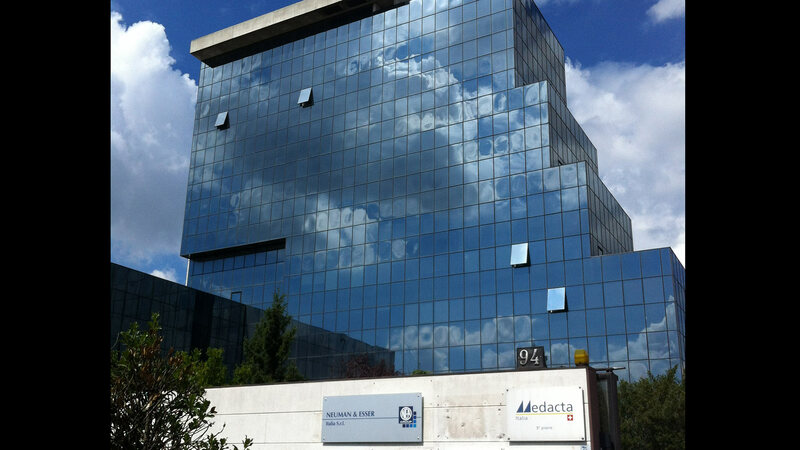 After over 20 years in Milan, NEA Italia recently moved into a modern, high-tech building in the Via Stephenson. Bigger, more functional, and cutting edge, this location ably meets the company’s image and space requirements – a working environment to reflect the company’s propensity for innovation and quality. NEAC Compressor Service now also has a storage area for small parts, to be shelved according to customer needs, giving the company more flexibility to react rapidly to requests. The team already feels at home in this wonderful new setting which enables staff, customers, and suppliers to interact well. 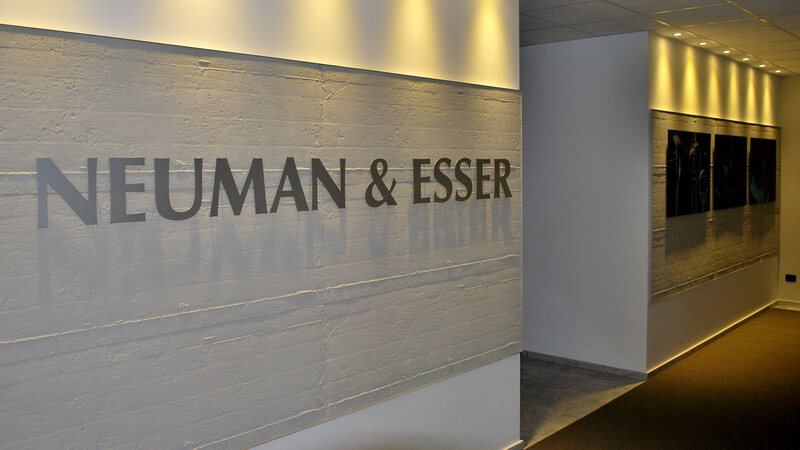 Here flexibility, environmental sustainability, and collaboration meld with the corporate culture of NEUMAN & ESSER, true to the motto of “Expertise and Responsibility”. Renata Bianchi, VP Commercial, not only discovered and designed the new space but, demonstrating passionate commitment, ensured both completion on time and relocation by July 7, shortly before hosting the NEA GROUP’s Commercial Meeting that month. 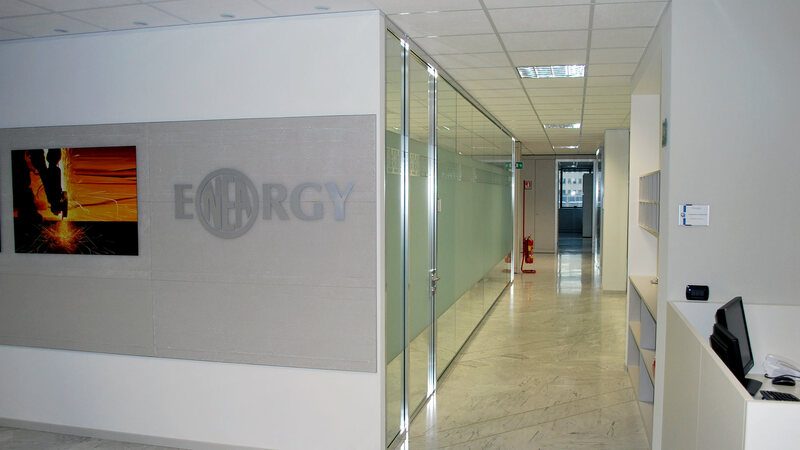 The entire NEA Italia team is justly proud of their new location, with its ground-floor cafeteria and verdant surroundings. What lucky people! 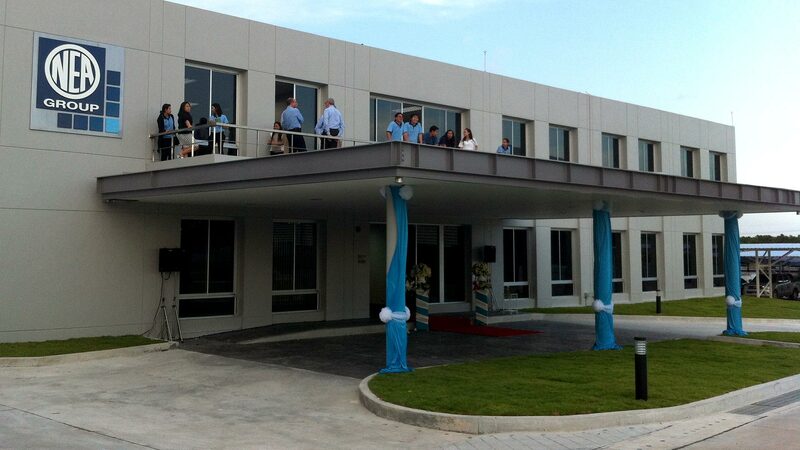 Thailand Raises the Bar NEA South East Asia is extremely pleased with the completion of its new office building on the company site in Rayong. Along with the internal project management team, external service providers from Bangkok also contributed to this success; companies such as Aurecon for the engineering, Steven J. Leach & Co. for the architecture and PPEC from Rayong for the construction of the building. In spite of heavy monsoon rains, the complex was completed in a brief construction period of only 22 accidentfree weeks, once work began on May 20, 2013. The keys to the new building were presented on Oct. 18. The new, barrier-free, two storey office building has a footprint of 1,200 m2, with space for 85 members of staff. This investment will not only help both the affiliate NEA South East Asia and the newly founded NEAC Compressor Service Ltd, whose operative business has been growing. 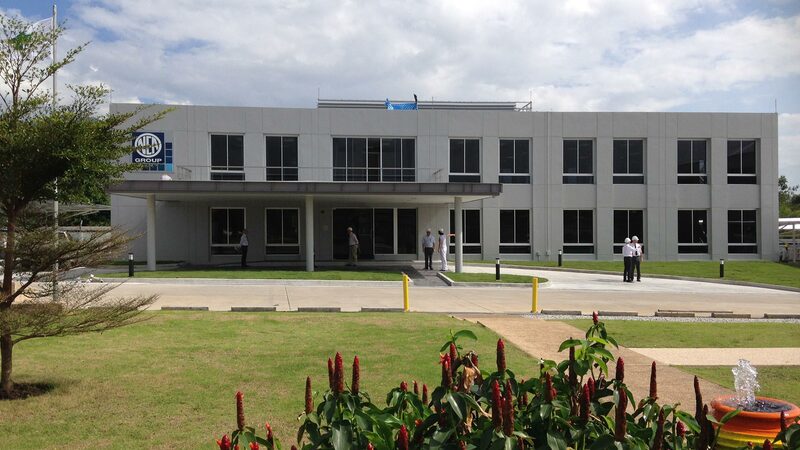 The completion of the new building also sets the seal on the reorganization of the company’s site in Rayong, which by now has grown to 18,000 m2. The packaging hall, expanded to 1,600 m2, was already brought into operation in 2011. NEA GROUP in Thailand has certainly raised the bar! 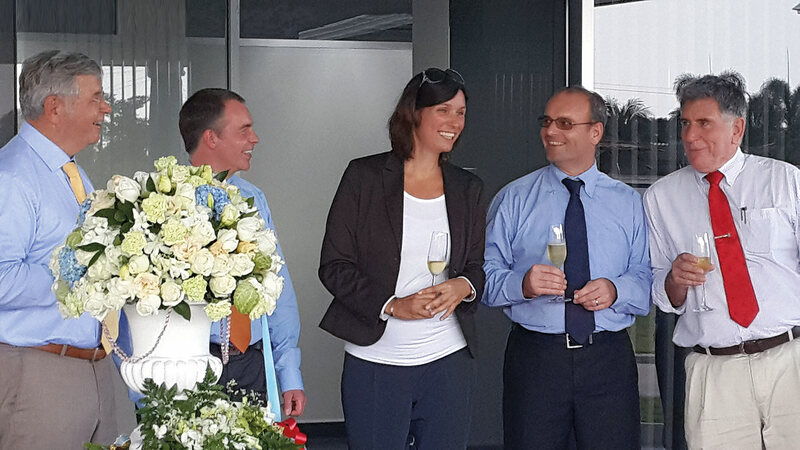 Thorsten Hartmann has been responsible for sales of NEA Grinding & Classifying Systems in China for about one year. Together with NEUMAN & ESSER Beijing he organized the very first Milling Day in the Middle Kingdom on June 18. At the Golden Bay Hotel in Weihai, NEA staff presented pendulum and impact classifier mills, innovations, and the Übach-Palenberg Test Center to their 19 guests. The exchange of experience between existing and new customers was particularly instructive. This gave Thorsten Hartmann, among others, interesting insights into the Chinese culture. NEA Beijing has been represented at the IPB in Shanghai now for several years. The “International Powder & Bulk Solids Processing Conference & Exhibition” takes place once a year, and in 2013 it was from Oct. 15 to 17. This trade fair is the most important international platform for the bulk material sector and powder industry in China. As Thorsten Hartmann reported when he arrived back in Germany, “The 3D product animations in Chinese went down very well with the visitors. There was a large throng of people who asked a great many questions about the systems”. Turbo Show and GMC were Great! The two events, the Turbomachinery Symposium and Gas Machinery Conference from Sept. 30 to Oct. 9, were consecutive this year calling on the NEA GROUP USA to mobilize all their reserves. The new, modern design of the 6x6m stand attracted numerous customers at the GMC, mostly from the mid-stream sector, who showed great interest in the NEA highspeed series and After Market Care. The team at the trade fair along with Managing Directors Scott DeBaldo and Brian Bertelsen were extremely satisfied with such a tremendous response. 10 Years of NEA Rus - Good Work! NEA Rus celebrated their 10th anniversary on Oct. 29 at the Moscow restaurant Lawash, together with colleagues from NEA Grinding and Classifying Systems who were in town to support their representative Philipp Industrievertretungen at the KHIMIA trade fair. Alexander Peters praised the team’s extraordinary commitment, which has ensured that the name NEUMAN & ESSER has found a firm place with customers from the chemical and petrochemical industries in Russia. As a token of his appreciation, he presented the team with a specially designed poster, which Managing Director Alexander Doll has given pride of place in the office. Thanks to the global NEAC service network, NEA customers are cared for everywhere locally, including repairs to their reciprocating compressors. Uniform guidelines and requirements apply worldwide to the so-called Repair Coordination Centers (RCC). Regular qualification courses, such as the RCC Training that was carried out at the company headquarters from July 15 to 19, ensure service remains at a consistently high level of quality. The annual International NEAC Service Technicians Training was held at the Training Center in Übach-Palenberg from July 15 to 21. Service and sales staff from the NEAC sites in Dubai, Rayong, Houston, Belo Horizonte, Milan, Cairo and Übach-Palenberg took part. The topics covered during the week-long event included HSE (Health – Safety – Environment) and the recognition and documentation of causes of damage. The NEA Engineers & CAD Key User Meeting also took place in July, from the 22 to the 26. Here, representatives from the Sales & Application Centers in the USA, Brazil, Italy, India, and Thailand as well as from Übach-Palenberg and Wurzen were introduced to the new Autodesk 3D CAD System “Plant Design Suite”. The Engineers Meeting and CAD Meeting were combined this year so that the new CAD software could also be presented to the technical managers. After a combined phase, the Engineers Meeting focused on project management and its documentation. NEA uses KO³ software to configure reciprocating compressors. So that all sales and engineering centers can always offer the best solution, even when responding to complex requests, the staff from Brazil, Italy, India, Thailand, the USA, China and Germany met from October 14 to 18 for KO³ User Training. 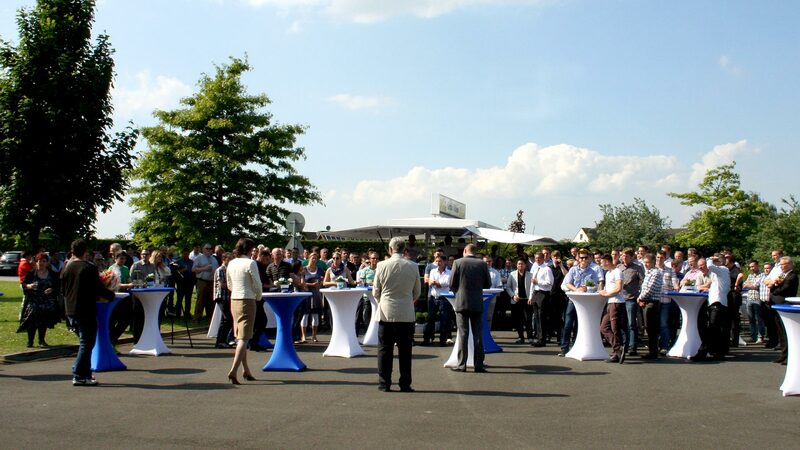 “The intensive exchange between KO³ users and developers has brought all of us a significant step further”, concluded the Head of the Central Division of Technology, Dr. Klaus Hoff, after the successful event. 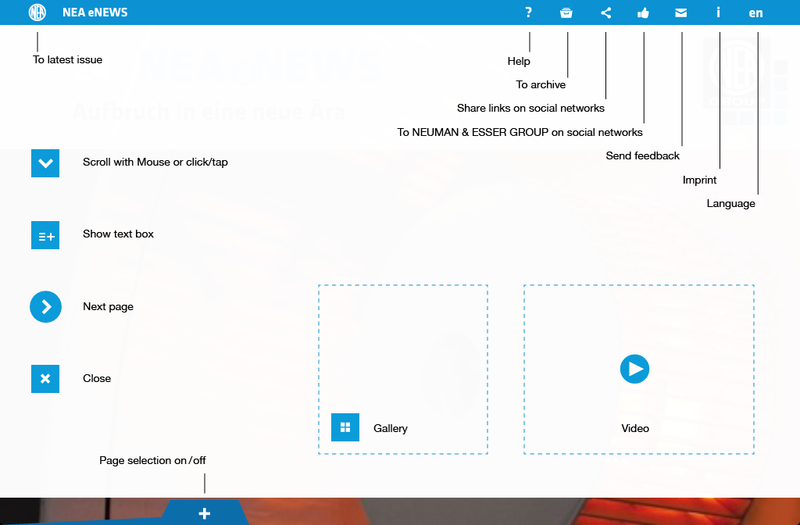 The inclusion of the Health & Safety component in the NEA GROUP Integrated Management System pushed the existing intranet system to its very limits. This is why Microsoft Sharepoint was chosen to be the new platform for the entire company. To build on this in the coming year, the management of IMS processes and documents will be reorganized. The goal is to direct users quickly and easily to the information they require, and to significantly simplify the system’s administration. The cross-referencing of documents and content will be a fantastic improvement. Relevant documents, forms, and references will then be available at the touch of a button. There will be several stages to the roll-out, beginning with the sites in Germany. All global IMS documents should then be available through the new system by the end of next year. In parallel, the handbook will also be pruned and much of the content transferred into documents downstream, but that will be a different story. 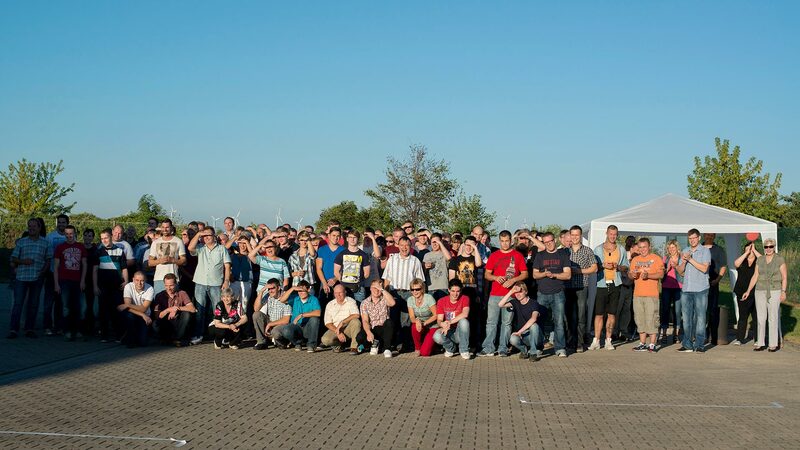 The kick-off meeting for the SAP project took place almost 15 months ago now. Since then, the over 50 members of staff taking part in the project, called the key users, have melded to form a formidable team. The journey from the Baan System to SAP has proved exciting, often grueling, and has required real effort from everyone taking part. Luckily, the interesting nature of the challenge is a great counterweight to the strain. Now the end user training program has just begun, in which the entire family of the NEA GROUP is being introduced to using SAP. A heartfelt thank you goes out to the key users for all their efforts, and also to the many colleagues who have helped by covering their backs. So now, as they enter the final straight to configure and optimize the new SAP system for use in 2014, we sincerely wish the team every success! With the closure of Auto-trol Technology, NEUMAN & ESSER opted for the new 3D CAD Plant Design Suite Software from Autodesk. Both this choice and implementation of the software were placed in the hands of Mike Gorgas, CAD Systems Manager & Project Leader, and Rüdiger Schaaf, System Administrator CAD Operations. They gave the CAD users, project engineers and heads of department their first view of the new CAD software at the Engineers’ Meeting in week 30 of 2013. “This young CAD product is taking a huge leap forward in development by being adapted to our requirements”, explained Rüdiger Schaaf. So, for example, CAD documents will in future be managed through a connection to the DVS module in SAP. This allows the data to be integrated into the Sales, Project Engineering, I&C, Purchasing, and Logistics Departments. Now that the test phase has been completed, the project now enters the implementation phase in which contracted orders will be reproduced in the new CAD system. Meanwhile, a second pilot project is running in parallel, where technical CAD data is migrated into the logistics chain of the SAP ERP system and article numbers attached. The system will be introduced in NEA Deutschland from the beginning of next year, before planned rapid implementation in those global sales and engineering centers taking part. By no means a piece of cake! 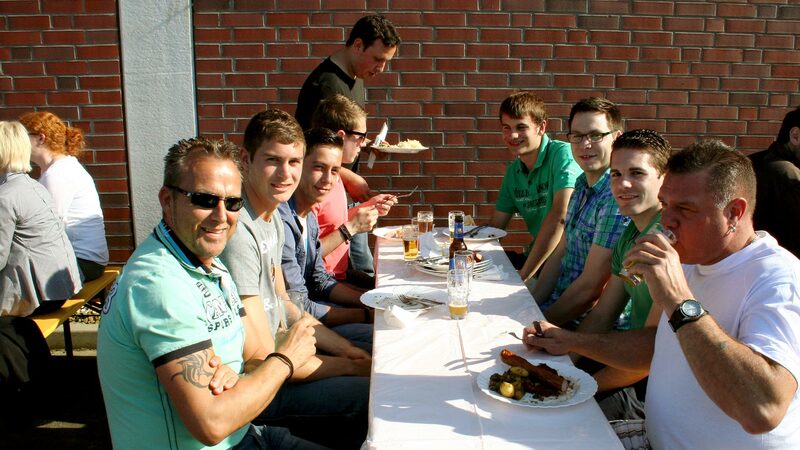 With the weather on their side, the staff at Übach celebrated their annual barbeque on June 5. 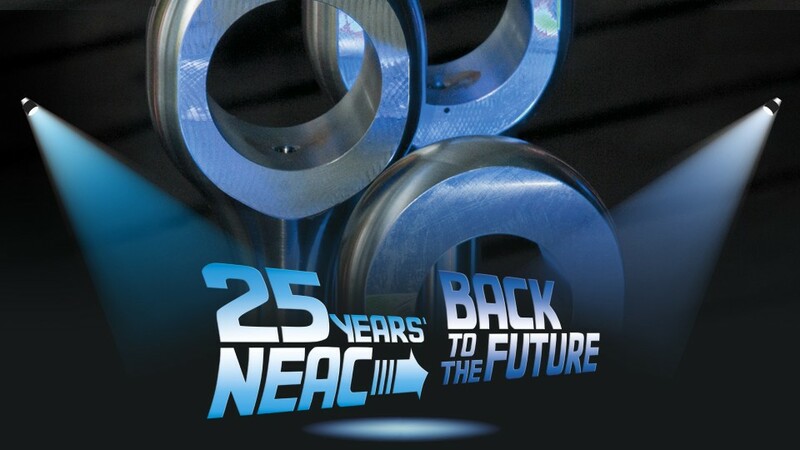 The party was held the day following the professional event “25 years of NEAC – Back to the Future” (see NEA NEWS No. 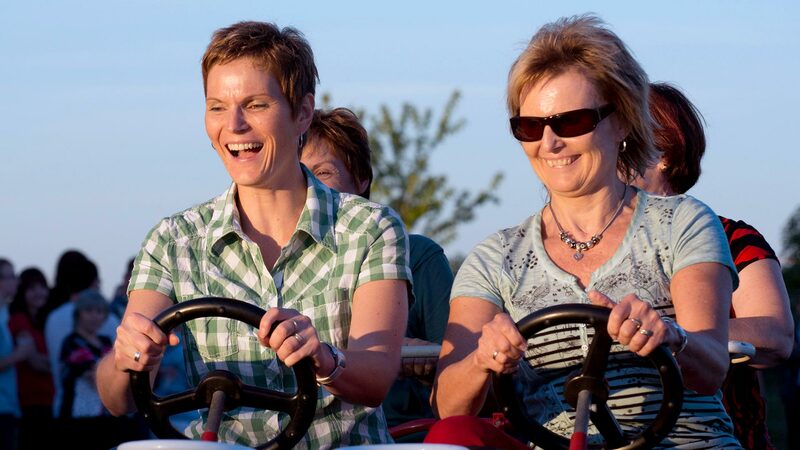 25, pages 4 to 7), so that all of the staff could also visit the OEM exhibition park. The artistically presented exhibits of the eleven OEM licenses were certainly a sight to marvel at. Klaus Peters took the opportunity in his speech, therefore, to remind everyone of the milestones he had witnessed personally in the positive development of NEAC, and its importance to the NEA GROUP. 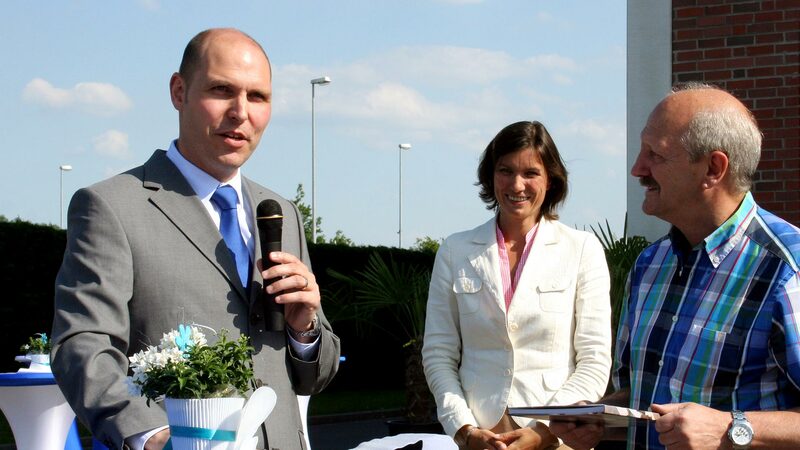 Following the welcoming address given by their father, Stefanie and Alexander Peters then thanked each member of the entire team that had organized the customer event, in person. The thank you gifts of bouquets of flowers and vouchers were clearly a welcome surprise, a fact that could be read from the happy faces of the many recipients. 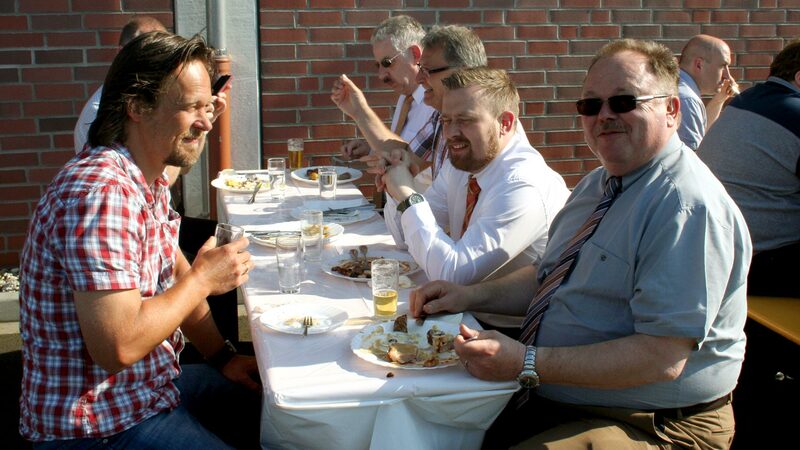 The Peters Family also used the summer party as the setting to officially thank Viktor Haas, the long-time trainer for trade apprenticeships and head of the apprentice workshop, for his 23 years of service to the company and his whole-hearted enthusiasm in training the NEA youth. Mr. Haas was due to embark on his well-earned retirement just two weeks later. Everyone was visibly moved by the speech of thanks, knowing well what a charismatic colleague they would soon be missing. 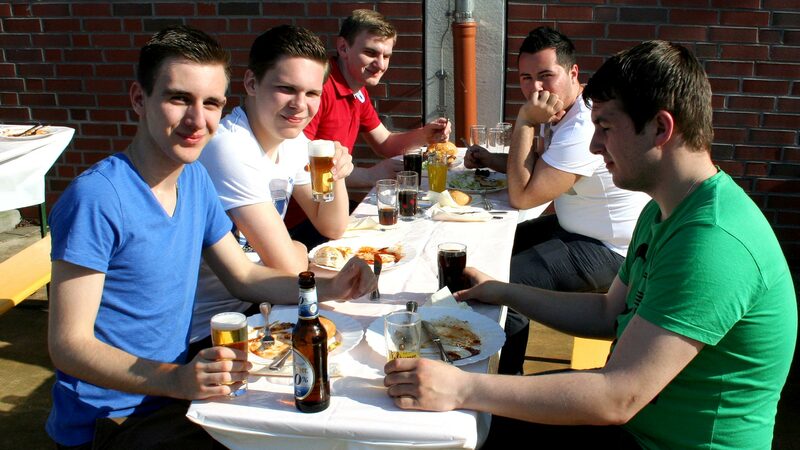 After this, however, it was high time to turn attention to the tasty barbeque buffet and refreshing liquid gold. The Übach team demonstrated their famous stamina once again when called to “feast, drink and rejoice”, keeping the party spirit alive once more, well into the night! 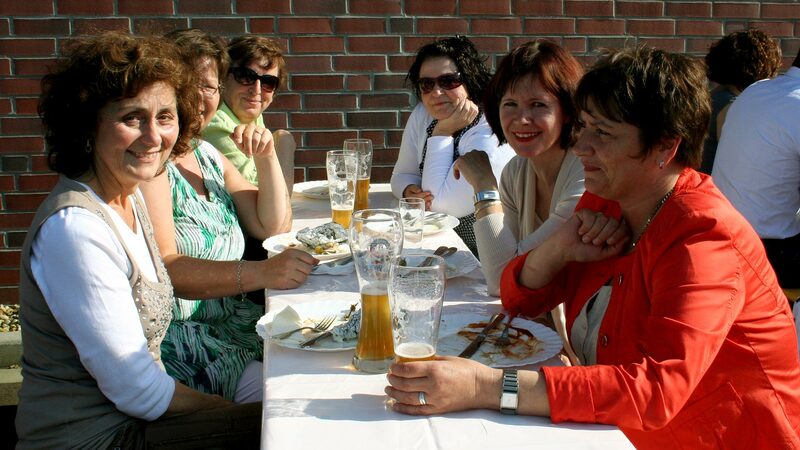 As it is easier for the 62 people from STASSKOL to travel, the traditional summer party almost always takes place in Wurzen. This year, however, it was Stassfurt’s turn. The team put their hearts into it, lovingly decorating the site and even organizing wonderful summer weather. 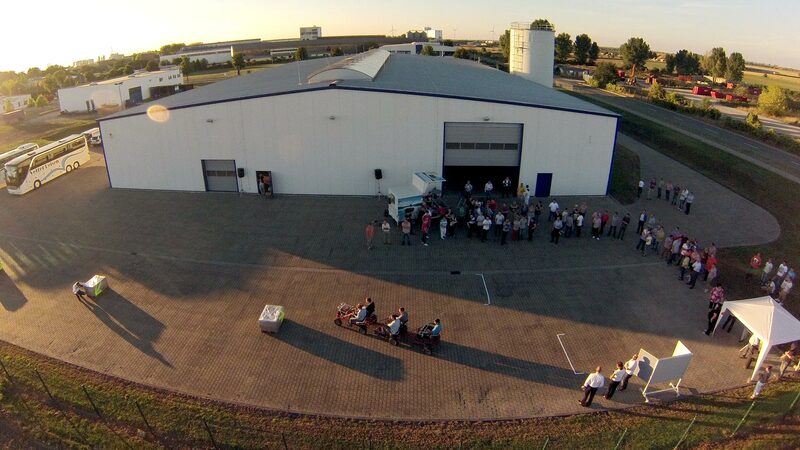 The STASSKOL team proudly presented their reorganized and impressively expanded site of 23,000 m2, including a second factory building which currently still serves as a warehouse for machines from Wurzen and Übach-Palenberg. The guests were treated to hearty pea soup as well as homemade salads and cake, provided by the staff, with plenty of cool drinks as refreshment. 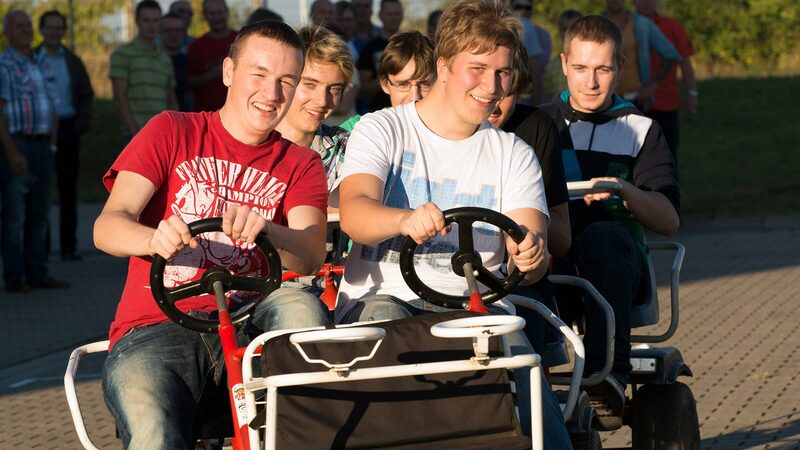 After a tour of the site, it was finally time for the first IORM to take place; the first Unofficial East German Rickshaw Championship (UEGR), with categories for men, women, and apprentices. The course was tricky and required skill, stamina, and total commitment from all participants. Collisions with the slalom barriers, off-course detours and mechanical fatigue in both rickshaws and athletes did nothing to dampen their spirits. In the final race, the women’s teams 1 and 2 from Wurzen came in joint winners ahead of the Stassfurt ladies. For both the men and the apprentices, the Stassfurt teams won by a whisker. At the same time, a marksmanship competition was taking place to crown the king and queen of the laser gun. Here too, the hosts won by a nose. The winners in all categories were awarded medals with a distinctive STASSKOL design. 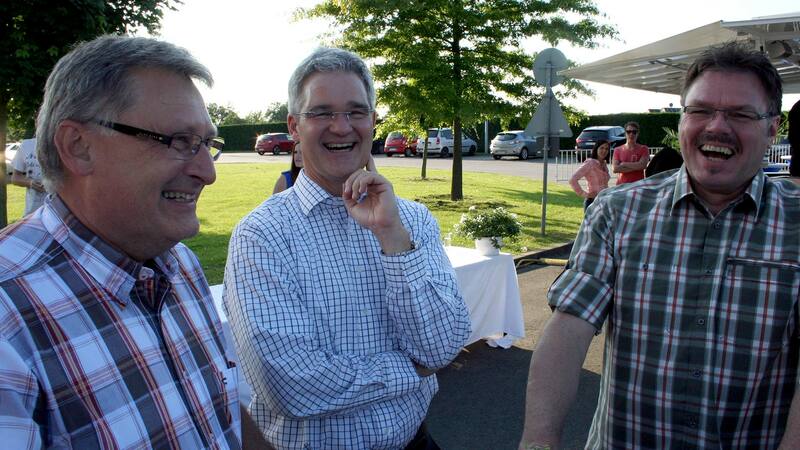 The celebrations continued with much merriment well into the night, as old acquaintances were refreshed. Three, two, one – go!” rang out loud and clear for two NEA sites this year. 14 members of staff from NEA Wurzen represented their company in the 6th Leipzig Company Run, while Übach-Palenberg had 32 runners on the starting line in Aachen. The Leipzig Company Run was postponed twice this year. First because of a clash with Michael Ballack’s testimonial football match, and a second time due to floods in the city. When the race took place on July 10, over 10,000 runners gave it their best and created an electric atmosphere. After five kilometers, the applause at the finishing line was ample reward for all the sweat and effort. “See you again next year!”, was the unanimous call from all participants. The surplus generated by this year’s Aachen Company Run broke the 15,000 Euro barrier and was donated once again to the charities “Youth in the fight against Violence e.V.” and “Food for Aachen”, while part of the funds raised by the Leipzig Company Run was donated to the victims of flooding in the region. The prescient promise in the last edition of NEA NEWS, that the 2nd “NEA-nderthals'” Soccer Tournament “it’s getting hot” was proved perfectly true. And it wasn’t only the sun that set the pulses of the numerous staff, gathered at the grounds of VFR Übach-Palenberg, racing. The matches played by the 12 company sports clubs were extremely exciting and very fairly played, so that the sparks ignited by the 121 goals scored in total during the 38 matches also caused the enthusiasm of the watching crowd to catch fire. The tense final was played out between the Dino-Saurer (Dino-Saurs from company Schlafhorst) and Rapid-Logismus (from company Robertz). In the end the “Dinos” snatched a narrow victory with a final score of 2:1. The battle for third place was won by the STASSKOLER Dichtungsgeschwader (Seal Squadron) who, by defeating the Wurzener Kolbenfresser (Piston Punchers), secured one of the championship trophies specially designed for the tournament, in the form of a piston – complete with rod and seal. Once a year, NEUMAN & ESSER América do Sul takes its staff on a fun social event called Mexa-se NEA, which means “Get Moving NEA!”. This is already the 10th anniversary of this excursion, which always takes place near the city of Belo Horizonte, where the NEA GROUP Brazil is located. Managing Director Marcelo Veneroso came up with the idea, and every year affiliates NEAC Ltda and NEA Sistemas de Moagem e Classificação are invited to join the adventure. After work on Aug. 13 the employees drove to the beautiful surroundings of the Serra da Moeda mountain. The distance and level of difficulty of the trail are selected in such a way that all employees are able to participate, but so that it still remains a challenge. As is traditional for Mexa-se NEA, the trail ended at a restaurant to reward and refresh the hikers. This was not only restricted to food and drink, but included wonderful entertainment – karaoke for everyone! Under clear blue skies, 15 NEA PISTONS set off from Übach-Palenberg on September 27 to experience a fantastic motorbike tour. The route of this 17th road trip took them through wonderful landscape, first through Vaals, Spa-Francorchamps and St. Vith to Winterspelt where they set up camp for the night in “Haus Hubertus” – the perfect saloon at the end of a hard day’s ride! Saturday then took the PISTONS on winding roads though woods, past lakes to Eschsur-Sure and on to Michelau. There the posse waited around tables in the sunshine for lunch at restaurant “Um Wills Pull” as the PISTONS had surprised the chef by arriving early. Wat Nai Rai is a state school that lies within a temple (Wat is the Thai word for temple). The temple and school are located in the city of Baan Pae, about 3km from the NEUMAN & ESSER South East Asia facility in Rayong. Up to 500 children attend this school, from kindergarten to high school. Although all of the children come from families with low incomes, the school still has a very good reputation, as since its foundation in 2005 it has continually worked to improve itself, and with success. In particular, investment in better equipment for the school was necessary to achieve this. Going to school is compulsory for children in Thailand. The illiteracy rate is relatively low, at around 4.5%. Children are obliged to complete six years of primary school, which is principally free of charge, but in the final years they have increasing costs as they pay for materials for the lessons and a variety of uniforms for different days of the week. NEA South East Asia has therefore been supporting the Wat Nai Rai School since 2010, by subsidizing scholarships and school lunches as well as extracurricular activities in the afternoon and other similar events. This means NEA is not only helping to educate children in need, but also investing in the future of the entire region.